I have prepared a survey about S/4HANA to understand the product knowledge base and roadmap among SAP Customers in turkey. My purpose is to focus on right topics in SAP Inside tracks and give insight information to collegues who are trying to help SAP customers in their S/4HANA journey. I have used SurveyMonkey and prepared 5 simple questions. Survey was open for 24 hours and 79 Customer contributed. 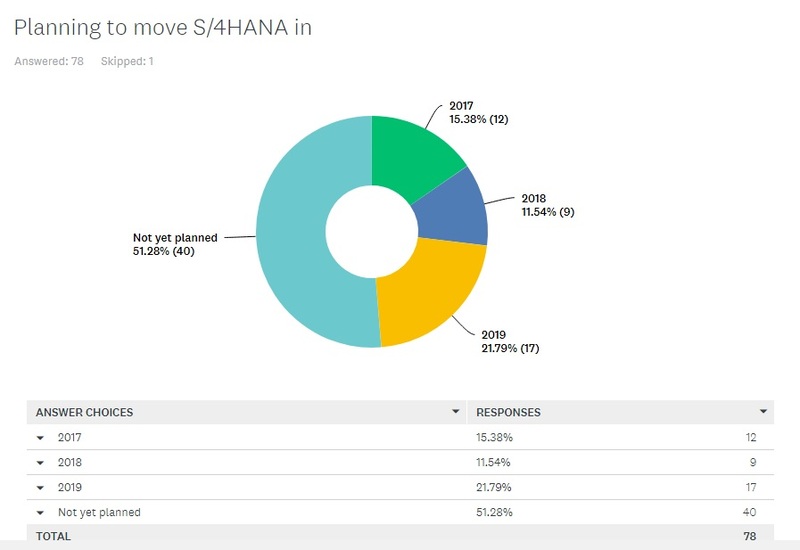 This seems good at first, however following answers showed us that, we need to tell more about benefits that brought by S/4HANA. 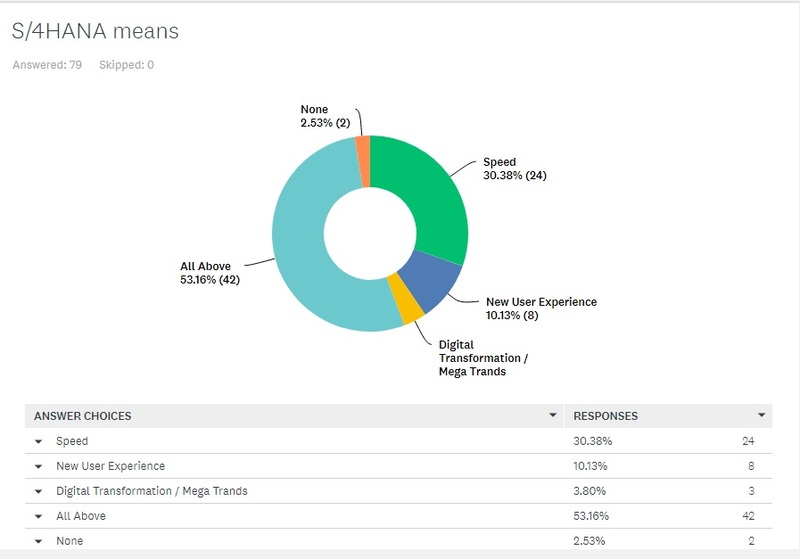 Then I asked to contributors, what does S/4HANA mean to you, speed still does matter at percentage of 30. 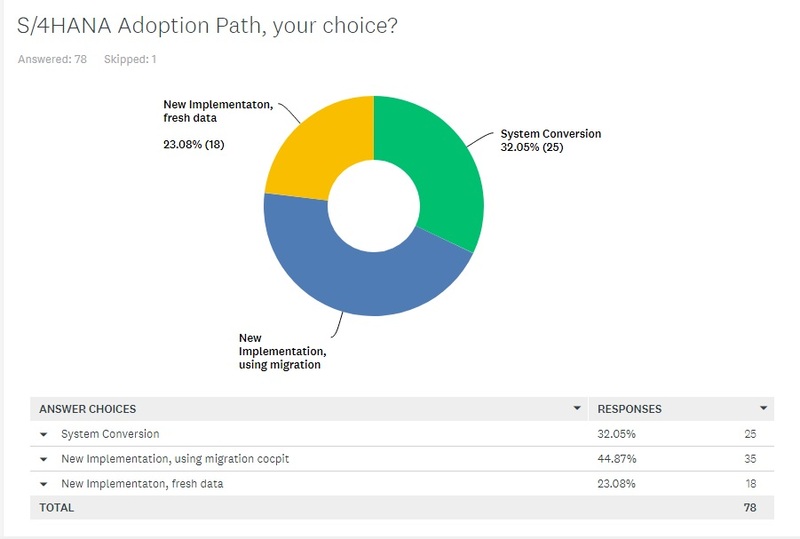 Then I have asked to get their choice about S/4HANA adoprion path, system conversion option is strongly on the table with percentage of 32. 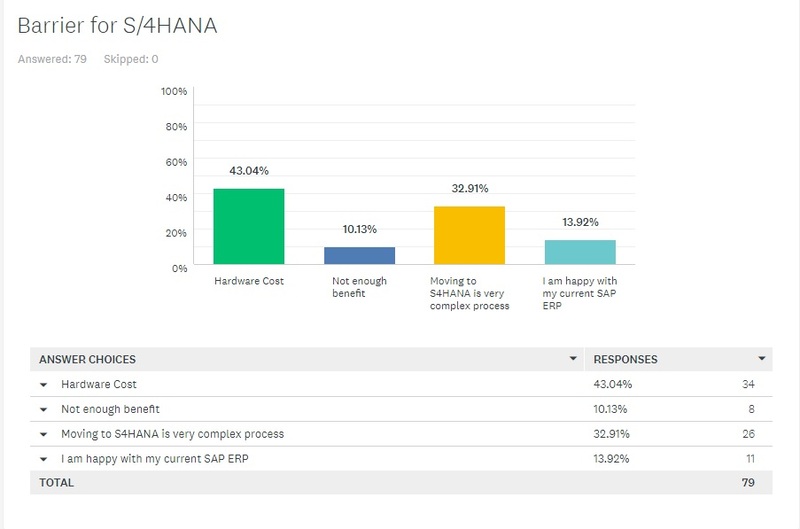 Hardware cost still is the main barrier for S/4HANA. These are the very first results, I will share more detailed analyisis very soon.